“For 49 years I couldn't read. Now I'm reading letters from my children." Shannon Trust is an organisation established from the legacy of something truly powerful. 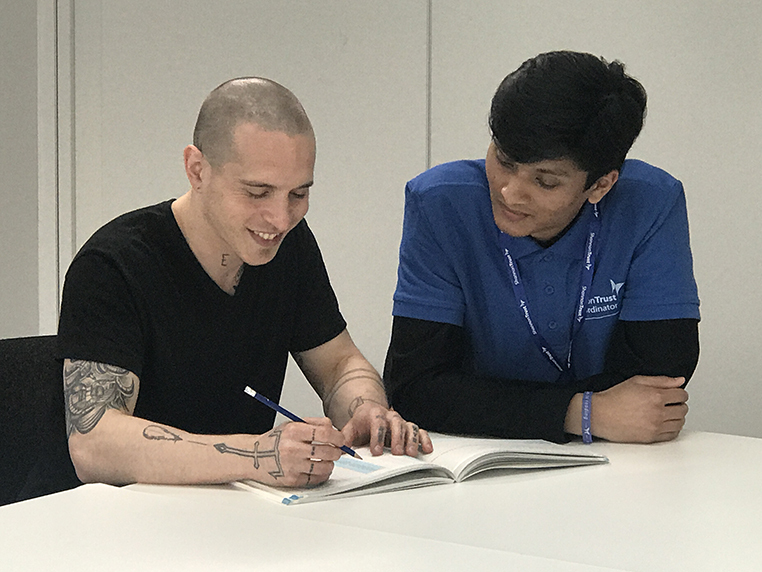 The Shannon Trust Reading Plan is a peer mentored reading programme where people who can read in prisons are taught how to teach others, owes its existence to something truly human. In 1995 a collection of letters was published in the Invisible Crying Tree, a correspondence between Christopher Morgan, a volunteer pen friend and farmer and Tom Shannon, a life-sentence prisoner and inspiration for Shannon Trust. With the royalties generated from this publication the Trust was established with the aim of tackling the stark over representation of people in prison who struggled to read. The two authors of Invisible Crying Tree and founders of Shannon Trust began their friendship in the most unlikely of circumstances. In their own ways each was relatively isolated, one due to his rural farming life and the other because he was serving a long prison sentence and yet, between them, they had discovered a solution that has gone on to help thousands of people. According to Shannon Trust, fifty percent of our prisons' population has a literacy level lower than that expected of a primary school leaver. Their ethos states that if the other fifty percent know how to read then there are people already in place to help. “My Mentor is dyslexic…obviously he's a lot better at reading than me…but he understands what you're going through, how hard it is mentally and physically for yourself." Shannon Trust has had Reading Plans within prisons since 2001 and has since gone on to produce frameworks and local strategies to implement this in every publicly run prison and almost all privately run prisons. People who enter prison unable to read are more isolated than those who can. One of the few ways in which prisoners can remain connecting to loved ones is through letters. Instantly, the ability to read separates people from hope and care. Asking someone to help you read a letter from your mum or your kids, when you are in prison, is both embarrassing and concerning. The power of Turning Pages, the comprehensive reading programme, is not just transformative for people who learn how to read. The mentors come to respect and value the feeling of helping others. Even in particularly dark frames of mind, mentoring someone who can't read or write to being able to converse through letters with their families can make someone feel useful, like they are not beyond repair. Reading, one of the most fundamental skills, taken for granted by so many of us, can be so deeply liberating that it often becomes the basis of people changing the entire direction of their lives. “It's just the fact that I'm learning…so obviously I'm feeling better about myself, for the first time learning, instead of sitting inside doing nothing…it's an investment for the future."